Are you searching for a hairstyle that’s classy yet edgy, feminine yet sassy, and smart yet playful all at once? 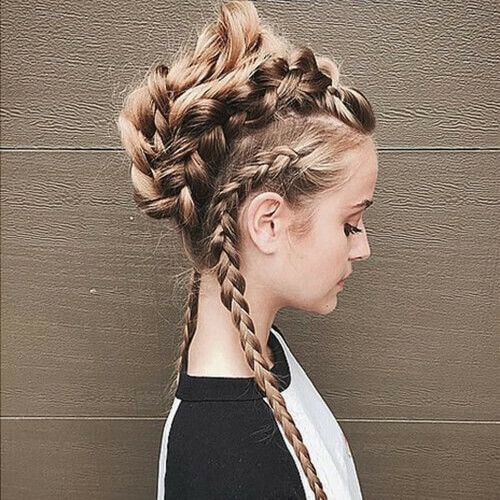 Look no further – the braided mohawk is everything you have been dreaming of and more. 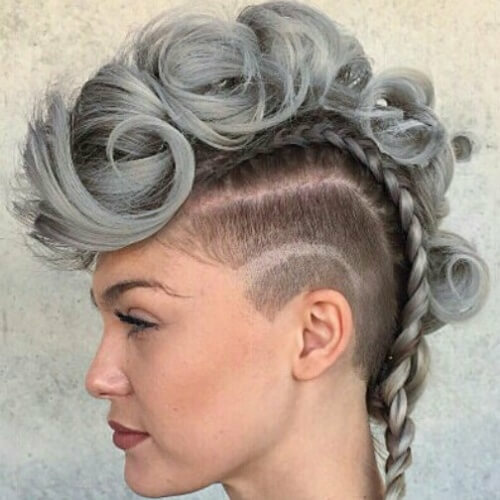 Believe it or not, this is the creative hairstyle that has it all. 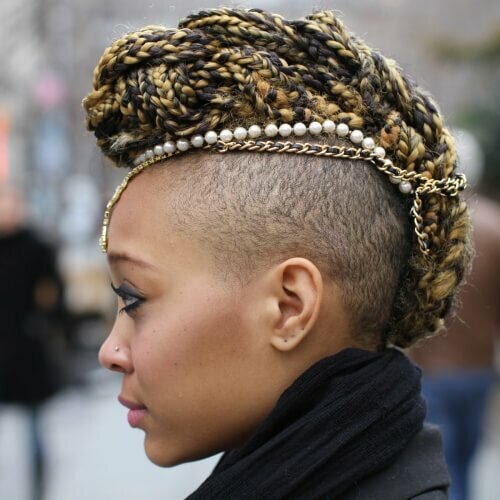 Check out some of our favorite mohawk braid ideas below and let your imagination go wild! On this note, you’d be surprised to find out just how many options you have for formal braided mohawks. In addition to the long and luscious version we presented before, you can also style your faux hawk into a glamorous braided updo. 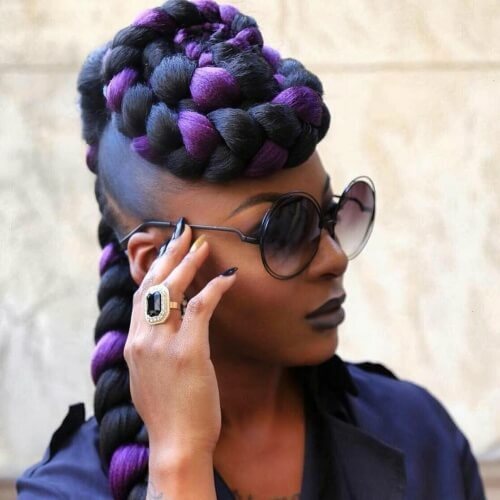 The beauty of braided mohawks is that they can be easily combined with other hairstyles. For instance, you can choose to blend a mohawk braid with a high ponytail. Not only is it a lovely hairstyle for work or school, but you can also count on it for a date or night out. Are you a daring gal who isn’t afraid to step out of her comfort zone? 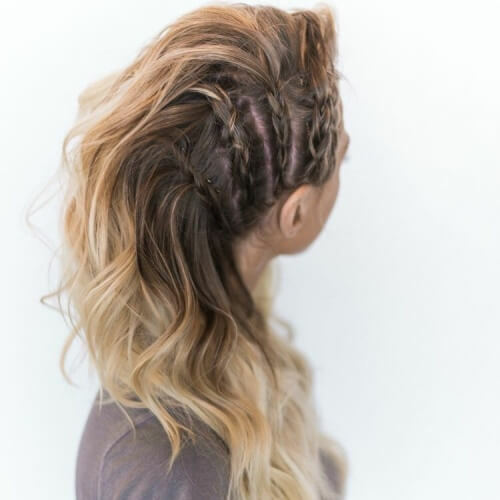 Try this edgy braided mohawk out. It works both for women who want to experiment with shave sides and those who already have them. This way, your mohawk will actually be authentic! The longer your hair is, the more braiding opportunities you’ll have at hand. 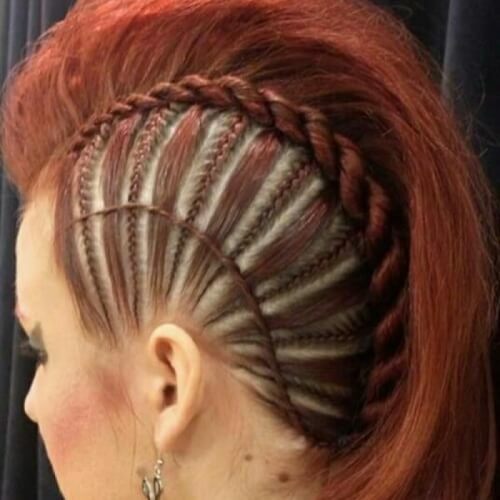 As a result, you can play around with various braiding styles to complement your mohawk. You can even leave a few braids down on the sides for an original touch. 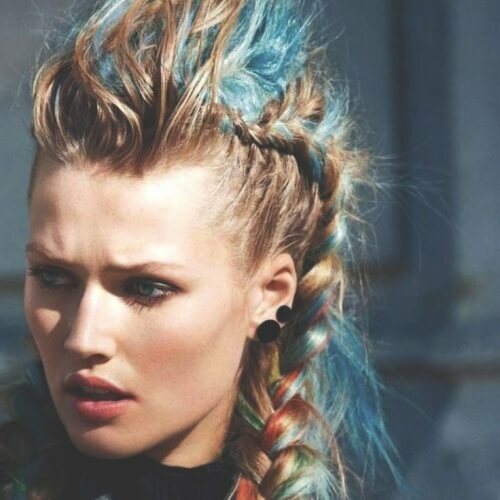 We have yet another punk-inspired mohawk braid for you to feast your eyes on. It’s an amazing way you can think outside of the box and obtain a hairstyle that you won’t see on every other woman. The ring accessories are definitely the cherry on top here. Every queen deserves to wear her crown. 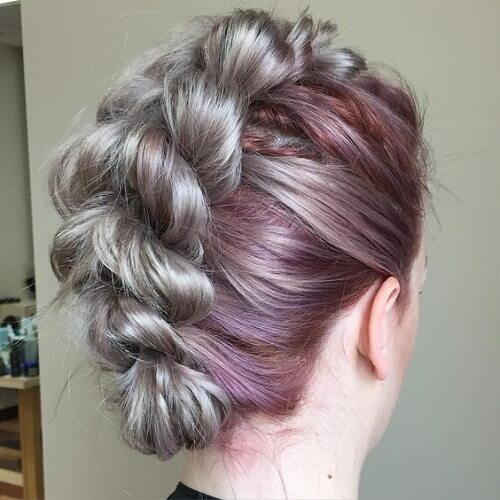 To take this metaphor to the next level, you can get your mohawk with a crown braid technique. 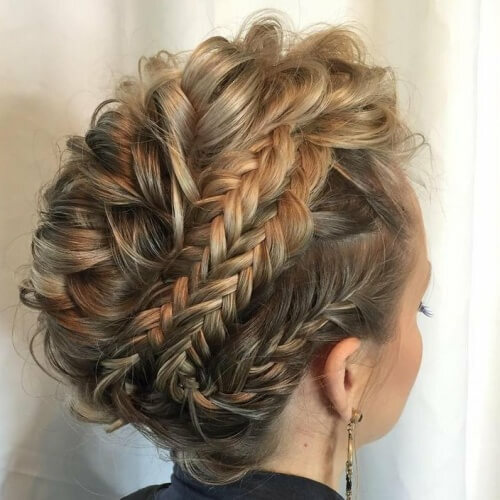 Choose any halo braid style you want and work your braid onto your forehead for an extra fabulous look.